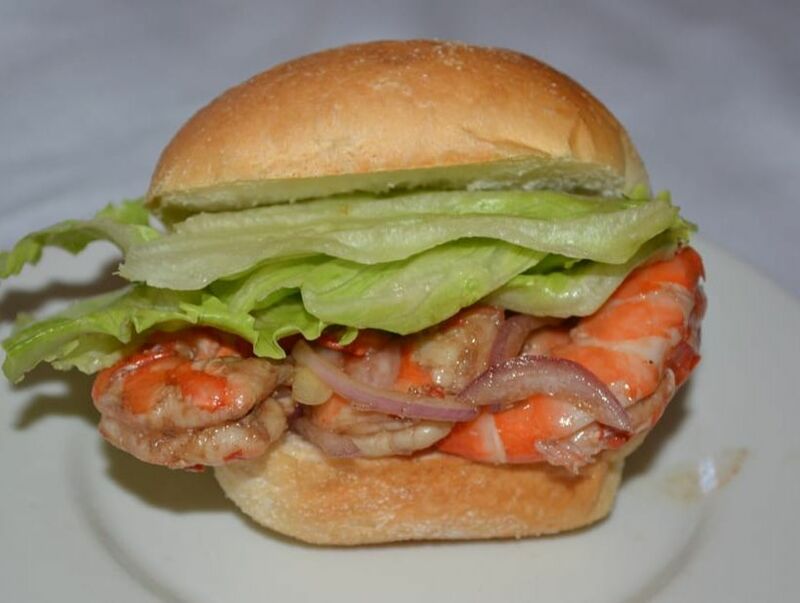 I love a classic prawn roll, the one with mayonnaise, it is delicious and it is one of my favourite things to eat. This one is my leftover prawn roll recipe. I should have actually called it Boxing Day Prawn Rolls. Why, because after serving up prawns for Christmas lunch I usually have some left overs. This recipe is something I always do if I have any leftover prawns. 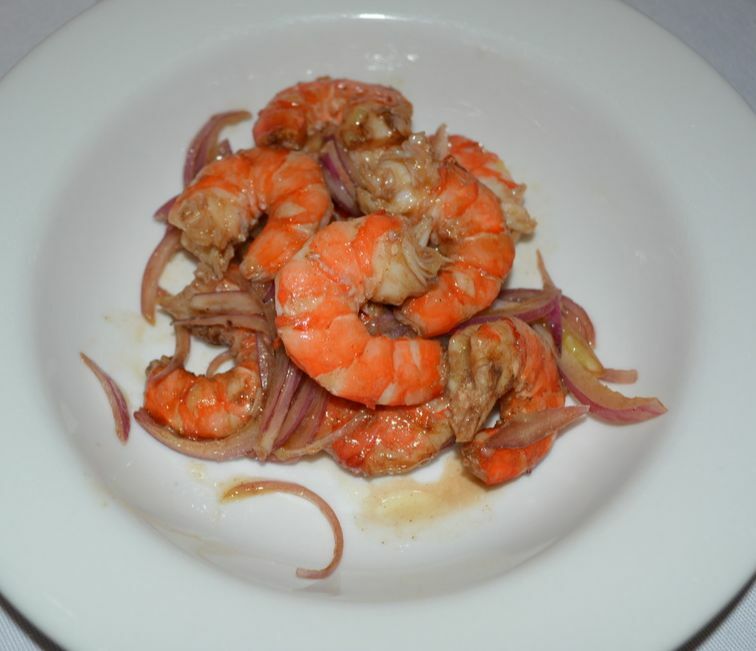 It is delicious, and a great way to enjoy prawns the next day. It is lighter than the mayonnaise version and is great if you have a lactose intolerance, as it is dairy free. So I got my uncle and husband to peel the left over prawns for me once we had finished Christmas lunch. My dad sliced up the onion, so I can turn the left over prawns in to a salad for the next day. Make the salad on the day they become leftovers, so when you go to eat them later in the day or the next day, the onions have time to mellow and soften. The dressing I will add the ingredients only, not quantities, as I never measure it, but I will describe how I do it in the method. I just had it for Boxing Day brunch and it was delicious. So if you are like me and you have left over prawns, try this, it is delicious. Peel and devein the prawns and place in a medium sized bowl. Add the sliced onion, if you like more onions add more if you like. Drizzle with extra virgin olive oil, then add the balsamic vinegar, to taste, season with salt and pepper. Taste it. If it is dry, add some more oil, if you like more vinegar add some, this recipe is to taste. 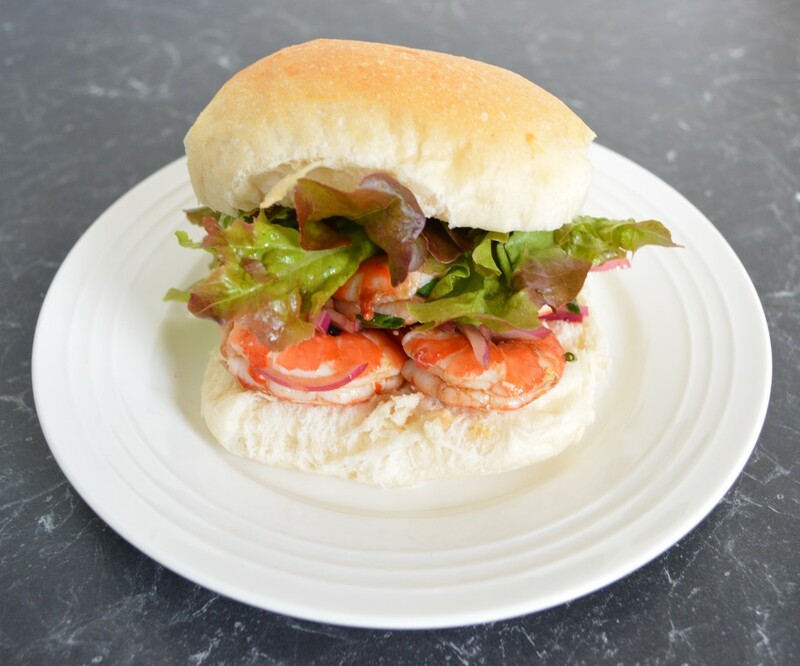 Serve as a salad with some bread, or place it in a roll with some salad leaves of your choice and make Prawn Rolls.